Responsible for business to business sales including lead generation, cold calling, networking and overall strong prospecting skills. Sales and Marketing— Knowledge of principles and methods for showing, promoting, and selling products or services. This includes marketing strategy and tactics, product demonstration, sales techniques, and sales control systems. Customer and Personal Service— Knowledge of principles and processes for providing customer and personal services. This includes customer needs assessment, meeting quality standards for services, and evaluation of customer satisfaction.The individual must be self motivated, have strong communication skills, and high professional standards regarding customer service and confidentiality. English Language— Knowledge of the structure and content of the English language including the meaning and spelling of words, rules of composition, and grammar. Administration and Management— Knowledge of business and management principles involved in strategic planning, resource allocation, human resources modeling, leadership technique, production methods, and coordination of people and resources.Ability to multi-task in a fast paced environment and hunt new business while working independently. Active Listening— Giving full attention to what other people are saying, taking time to understand the points being made, asking questions as appropriate, and not interrupting at inappropriate times. Speaking— Talking to others to convey information effectively. Persuasion— Persuading others to change their minds or behavior. Social Perceptiveness— Being aware of others’ reactions and understanding why they react as they do. Critical Thinking— Using logic and reasoning to identify the strengths and weaknesses of alternative solutions, conclusions or approaches to problems. Negotiation— Bringing others together and trying to reconcile differences. Oral Expression— The ability to communicate information and ideas in speaking so others will understand. Problem Sensitivity— The ability to tell when something is wrong or is likely to go wrong. It does not involve solving the problem, only recognizing there is a problem. Be authorized to work in the United States and have your own transportation with a valid driver’s license and legal levels of vehicle insurance. Have an acceptable background history, MVR and negative drug screen. Cooperation— Job requires being pleasant with others on the job and displaying a good-natured, cooperative attitude. Attention to Detail— Job requires being careful about detail and thorough in completing work tasks. Adaptability/Flexibility— Job requires being open to change (positive or negative) and to considerable variety in the workplace. 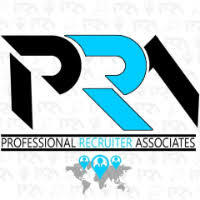 For immediate consideration, please forward a copy of your current resume to info@profrecruiters.com referencing job #1578 or a link to this job.